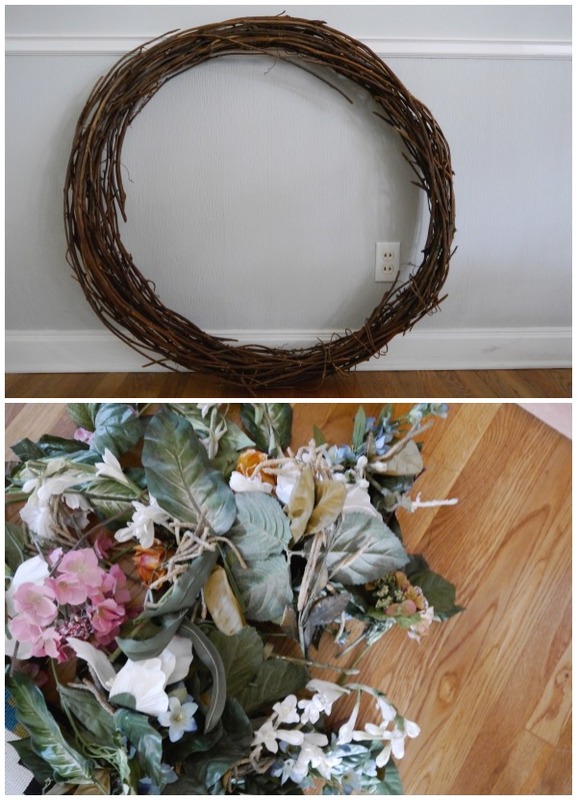 How to Make a Wreath - C.R.A.F.T. 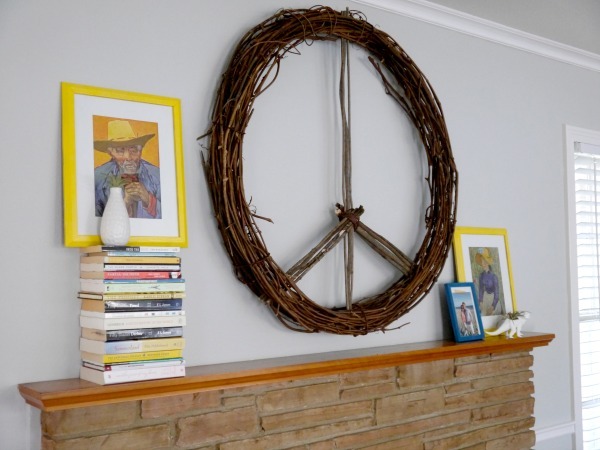 I kind of love my giant peace sign wreath! And it only cost me about $15 and one hour to make. My peace sign is huge, but this could easily be done a smaller scale. I wish I could say Andy thought it was as cool as I do, but he thinks this is where a giant TV should live. What do you think? TV or giant peace wreath? First, de- flower the wreath. I found it easiest to use wire cutters and cut the flowers off. Then, un-ravel the old wire from the wreath and admire your beautiful flowers! Next, I went on a little stick hunt in my backyard. I used 3 long ones for the middle and 4 on each side of the peace sign, for a total of 11 sticks. 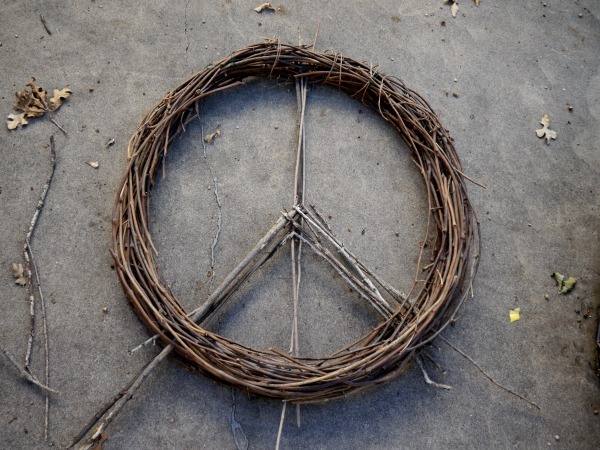 Here is a close up of how I tied the middle of the peace sign together. Nothing fancy really. 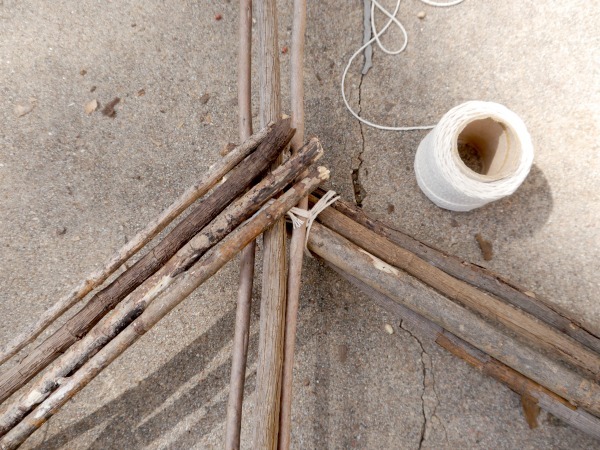 Then, I realized that the twine was ugly and I needed to camouflage it. 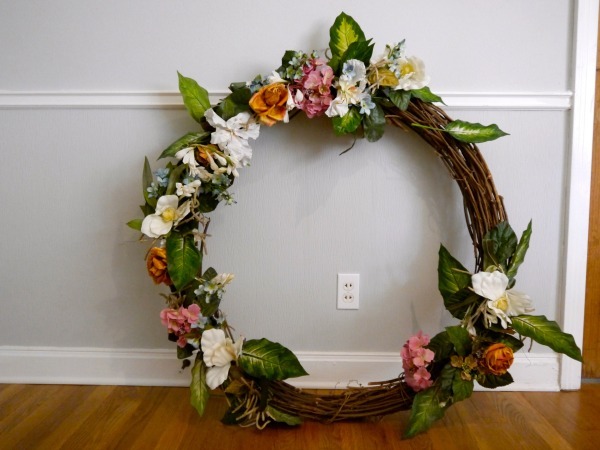 I thought about spray painting the entire wreath, but then I decided to take a little trip to Hobby Lobby just to check out the wreath section and see what they had. 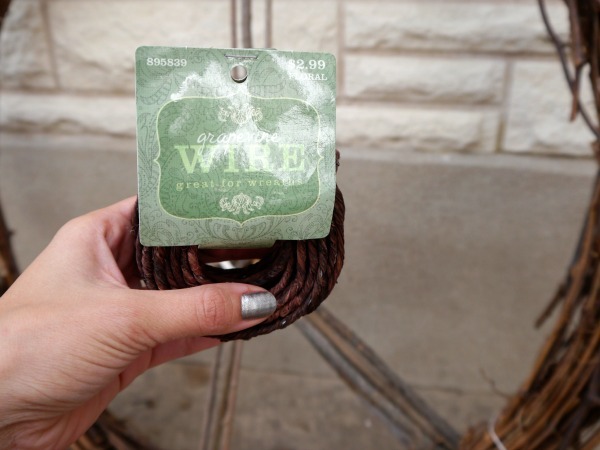 Behold grapevine wire! My peace wreath cost me about $15 bucks to make, and I love it! I even spruce it up with lights and Chrsitmas cards at Christmas time! 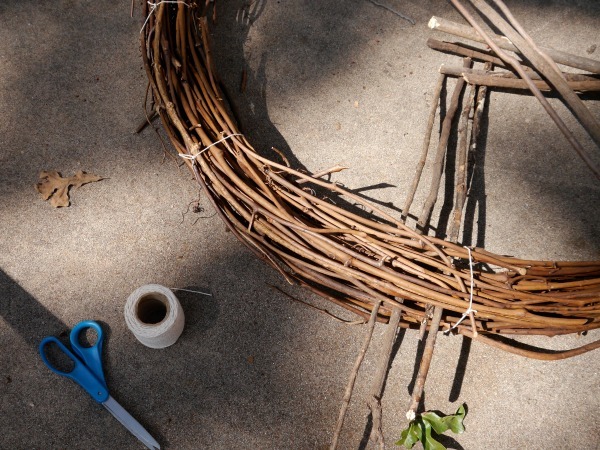 Are you a wreath maker? « Free Things to do in Washington, D.C.
LOVE IT! As someone who doesn’t own a TV (much to her boyfriend’s horror), I support ya!! haha! TV is so overrated! High five to no TV’s in the living room! It must be a guy thing! They want those big tv’s front and center! This is so much better! And it’s a great improvement on the original wreath! I love it! What a great makeover for a thrift store find. Thanks for sharing on Snickerdoodle Sunday. Oh the world needs peace! Great wreath! I am so not a wreath maker – but I want to be! Super cute. Way better than a tv. Oh yeah peace man! 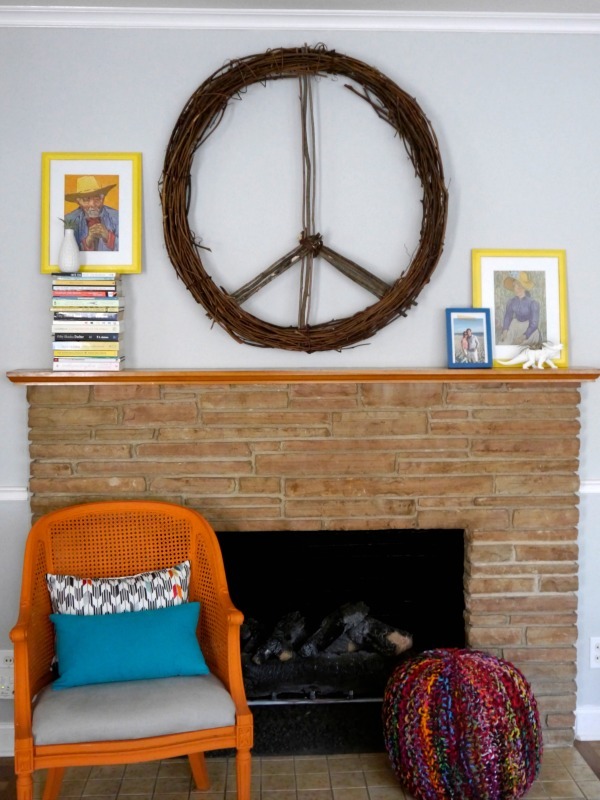 love the peace wreath and will have to make my own. I think i will add a few flowers though as well. Such a great fireplace! Thanks for sharing the tute with us!